This book is worth buying because it is raising money for the Forget-Me-Not charity, which helps homeless ex-soldiers. It’s also worth buying as it’s very good value for money with thirty four stories. Some of the stories are short or even flash fiction but all are expertly crafted. As well as Paul Ruddock’s excellent work there are contributions from five other writers: John M.W.Smith, Tom Benson, Matthew Williams, Lesley Hayes and Peter Nena. This adds a variety of style. One of my favourite stories was ‘Cold Callers’. It was about a writer who wanted to get on with his work but people kept interrupting. Great storytelling. ‘The Spectre’ is a beautiful account I read some time ago on the author’s blog. It is a sensitive description of a natural phenomenon and I remembered it long after I read it. The variety in the book will keep you turning the page. I won’t go through all the stories but they’re all worth reading. ‘The Car Clampers’ stood out for me as we’ve all met some of these unreasonable people and I didn’t expect the ending that was written for ‘Put to Death’. Photographic Memory I’ve read before but it was just as exciting this time round. If you buy this book you’ll be helping a worthy cause and I’m sure you’ll enjoy the stories. My second children’s book, ‘Tiny Tyrannosaurus’ has just been reviewed by a blog site that does lots of detailed book reviews. There’s a link to the site here. The reviewer, Paul Ruddock, gives a flavour of the book he is reviewing without giving away any of the secrets of the story. He reviews all sorts of genres, so if you’re short of an idea of what to read next, pop over to his site and take a look.Obviously the link I’ve posted is to my book, ‘cos I’m selfish like that. He also runs a facebook review page for writers who want to review or have their books reviewed. I’ve several books on my reading list from there. 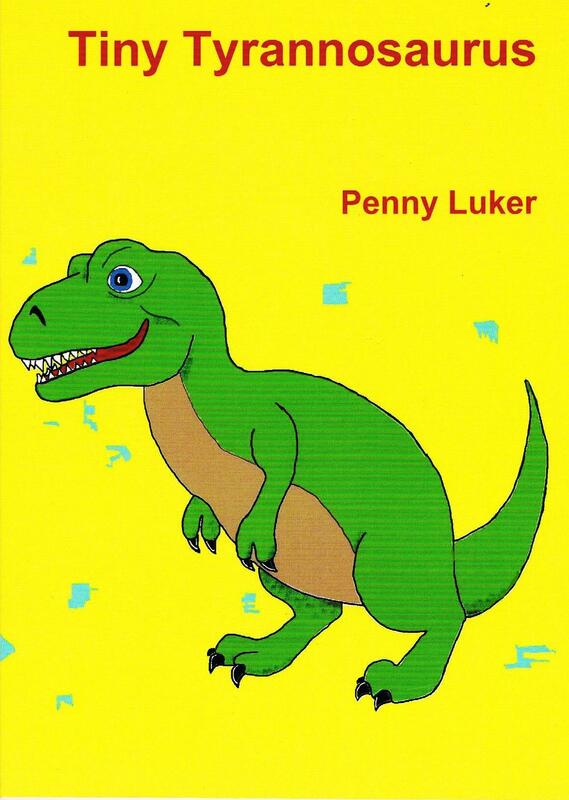 Tiny Tyrannosaurus is available from Amazon for £4.99 and on Amazon Kindle for £0.88. If you buy the paperback you should get the kindle version free. There’s a link to Amazon here.